I was contacted by Johnn Four (roleplayingtips.com) and Tony Medeiros of fastercombat.com about publishing an article regarding the WOTC D&D virtual table, and a guided tour that they were given by Game Table Online (the group managing WOTC’s virtual table I believe). I agreed to publish the article, so here it is, by Tony Madeiros. Digital tools that help us run games better and make combats faster are always welcome. Recently, I met with Rory Madden of GameTable Online who offered to run a demo of the D&D Virtual Table and answer some questions. 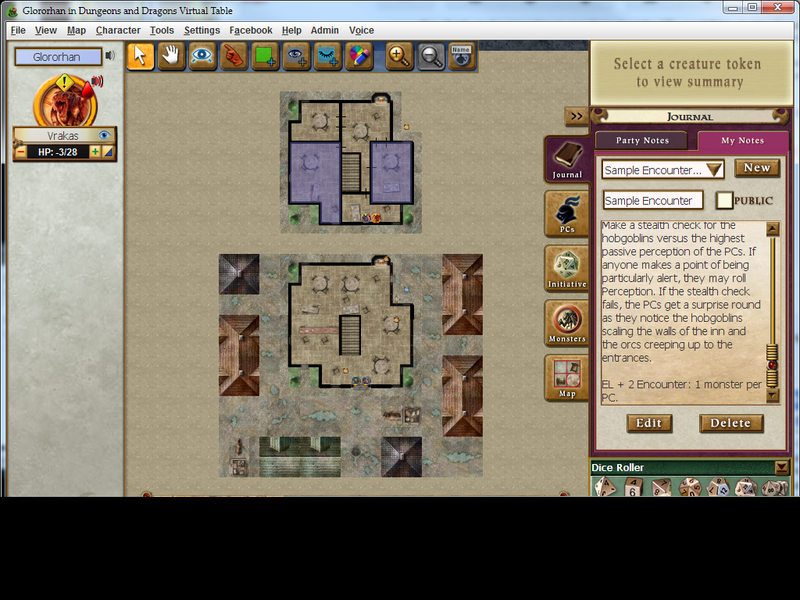 Rory guided me through a demo combat that spanned two floors of an inn, orcs and hobgoblins. As I was minding my own business, foes were climbing to the second floor on the outside and busting through the front door on the ground floor. So much for a quiet night loading up on ale! Scene of the crime - both floors of The Lonely Inn where my short adventure took place. My 1st level dragonborn paladin, imported from my D&D Character Builder files, did what he could to fight them off. Even the peasants jumped in. Many misses and corpses later, I could not find the digital die-throwing skills I needed to finish off the last hobgoblin upstairs. The great battle versus the hobgoblin - no storybook ending this time! Sadly, in true Gygaxian form, my clumsy (or perhaps drunk?) fledgling paladin succumbed to the horde, dying on the floorboards of The Lonely Inn. Fade to black…the brief adventure and demo was over. The big takeaway? The D&D VT is primarily a digital battlefield tool, intended for combat-focused encounters and purely digital sessions – more standalone rather than a full adventure suite for the DM at a live tabletop game, such as Master Plan. Think of a manual, turn-by-turn version of Multiplayer Online Battle Arena (MOBA) games such as League of Legends, except you fight monsters controlled by the DM instead of other parties. If you’re looking to play sessions online at any time with friends or family across the world, it’s a pretty cool option, despite a significant amount of missing automations and autocalculations. As you might know from my site fastercombat.com, I am always looking for ways to improve combat speed. This VT offers some, but not enough for a combat system as complex as D&D 4e. If you’re looking for a supplement to help your live tabletop D&D game, like I was, then the VT is fair at best. Again, it’s not intended for that right now, and I didn’t get a sense that would change. It’s no Master Plan, which is unfortunate, as I was hoping for an official D&D version of Master Plan someday. If it’s it in the works behind the scenes, great, but the VT simply isn’t it. Still, it was a wonderful demo and it’s still a promising, fun option for D&D gamers and D&D Insider subscribers, especially those who find meeting digitally the best option they have to play D&D at all. Still have questions? There’s a handy D&D Virtual Table FAQ. Plus, you’ll find several colorful player-side and DM-side VT screen shots below, taken directly from my demo experience – plus shots of a few other gems I found exploring the uploadable sample adventures and maps. 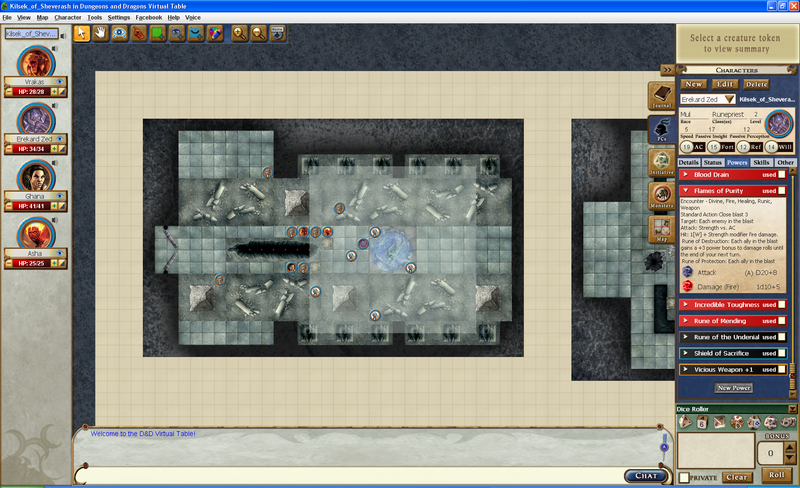 Uploaded dungeon map from a sample adventure. What have your experiences with the D&D VT been? Have you used it for purely digital D&D games? 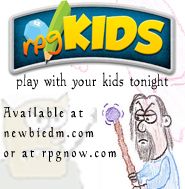 Have you used it a supplement to your live tabletop sessions? What features do you like most and which features do you think are poor or lacking? You’ll find Tony Medeiros writing, playing, designing or teaching just about anything somewhere on this plane of existence – and beyond! He’s been playing D&D and running combats since the Red Box. Follow him on Twitter @LeonineRoar and check out his latest project with Johnn Four: the Faster Combat course for GMs. I’ve used the VT a few times, both as player and DM. 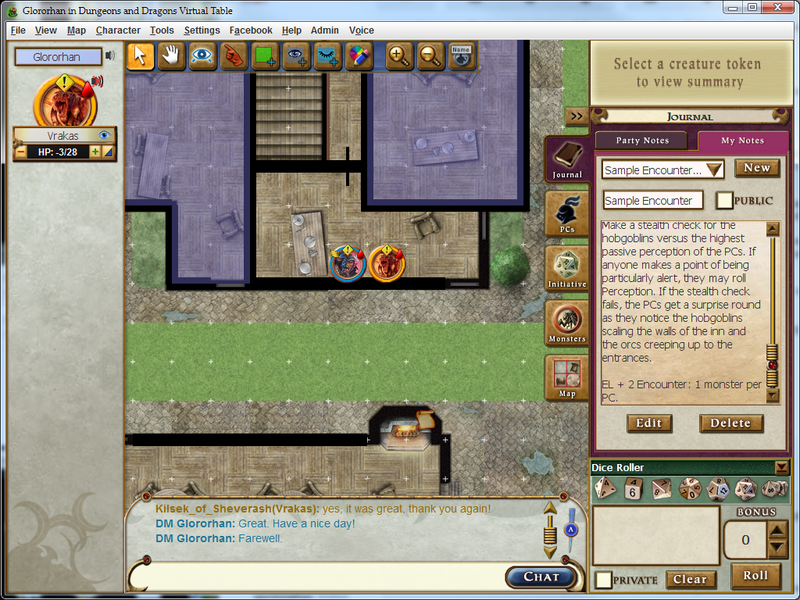 I came into it having played almost all of my 4e (And thus almost all of my ‘table top’ RPG) online via virtual tools. It’s fine for what it is, and the import feature is amazing, but the lack of any automation of effects or hp management really prevented me from using it much. Well, that and needing a DDI account, something not all my players had. My preferred virtual table, MapTool with the DeviantNull 4e Framework, was the opposite of VT. VT has very little work up front but requires bookkeeping during use, the same bookkeeping, I’ve been told, that you have at the table. The DeviantNull 4e framework has a lot more into setting up a character token and monster tokens, but that work pays off. A monster attacks, the rolls, damage, and conditions are hyperlinked. The player(s) that it attacked can click the hyper links, damage is taken and effects are applied. For my groups, this took the math out of the way, and for the most part encouraged more RP because we weren’t always spending our time figuring out bonuses, penalties, etc. I have used the VT almost exclusively for my gaming needs for about a year. I just haven’t been able to get a rl game going and it has been awesome. My favorite thing is being able to game with people from all over the world. I tried VT in it’s early days. For reference, up to that point I had made some use of Maptool. The first few sessions with the VT were painful. We had audio problems so we switched over to a different voip solution for that. During battle we had a few instances where I wanted to draw somethign on the map on the fly and couldn’t because I’d used up all of the available space for that map. It was a really simple map so I was a bit puzzled by that, it turned out that erasing part of an object took up substantial resources. I was drawing circles for trees and then erasing the edtges in irregular patterns to make them look a little more natural. Each of those swipes with the eraser took up as much resources as if I’d used a large image as a background. I also missed the ability to automate line of site and to reveal what was visible to a character based on their exact position. This feature is built into many of the competing products. Have any of these issues been addressed? After the first couple of sessions with my friends we unanimously lost momentum on that platform. We haven’t used it since. I played around with the VT and the concerns mentionned above were quite accurate. I love it for the simplicity. The only drawback to the simplicity is that there is not autocalcualtion of things such as quarry damage or critical hits etc. The refresh rate was incredible(due to the simplicity of the programme). My group plays MapTools right now and with all the automated features, we tend to get a lot of lag during gameplay. I would like to see a more diverse selection of tiles, and the ability to draw the tiles by hand. I totally agree with psychopez. Maptools wins for me in almost every way. The voice connections in VT are useless. Google+ Hangouts are the absolute best way to play RP games remotely because you can SEE people as well as hear them. Google+ combined with MapTools is awesome. Once you get your favorite MapTools framework running the game prep is not all that horrible. There is room for improvement, but that is in the hands off all the gamers that love using MapTools instead of a corporation that really doesn’t have wherewithal to get it right. In fact, I think there is probably no way to ever get it right. MapTools works best because you can make it “right” for you and tweak things until your brain is a sodden mess. VT will never be as open and as useful which is unfortunate. I would have so loved to have just had Wizards create a framework that could leverage the character builder, the monster creator, and the compendium from within the framework. Where everyone is failing now is that there is nothing that is really great at using tablets and phones quite yet. That will be spectacular when that is a regular option to use. No more bulky laptops on the table!